Celtic have been urged to restore their battered European pride with a defiant stand in Valencia – and show the world that the first-leg humbling wasn’t an accurate reflection of their quality. Brendan Rodgers takes his men to the Mestalla for Thursday night’s clash with little hope of reaching the last 16 of the Europa League. Turned over 2-0 at Celtic Park by the Spaniards last week, Scotland’s champions were second best in every department to a team sitting mid-table in La Liga. 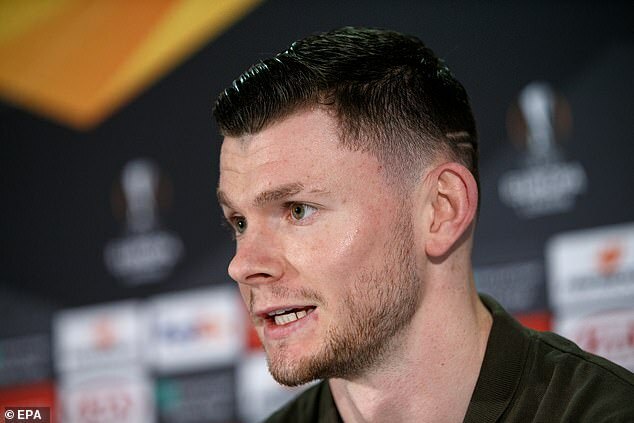 Oliver Burke, however, has challenged his team-mates to puff out their chests and prove a point in Spain, declaring: ‘It is definitely about pride. ‘We have to go there and show we are capable – and show what we can do. We know we can do much better. It was so disappointing but we need to focus on the return and, hopefully, we can get a result. ‘I am sure we can improve. The boys are all really looking forward to going there. 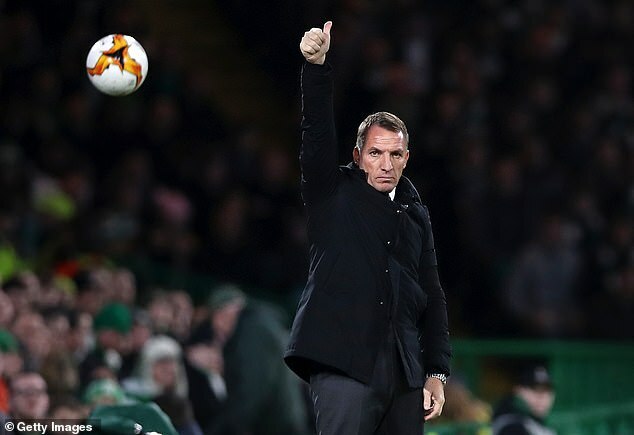 Manager Rodgers also believes his side can yet overcome enormous odds to turn the tie around in the Mestalla. ‘We were disappointed with the result and parts of the performance in the first leg,’ he said. ‘We made a couple of mistakes in the game which cost us.. The first goal will be important. Rodgers is hopeful Kieran Tierney will make his comeback against Motherwell on Sunday. Out injured since damaging his hip against Salzburg on December 13, the full-back will sit out Thursday’s game in Spain before making his return to first-team action. 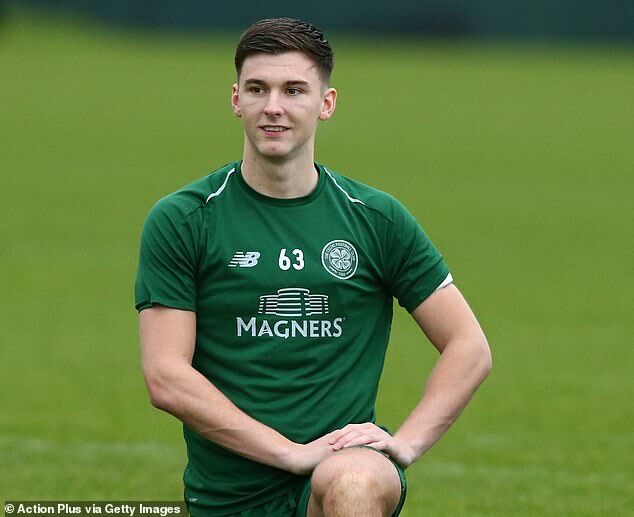 ‘By the end of this week, that will be two full weeks that Kieran will have been back with the squad, so we would hope that maybe by Motherwell at the weekend, he will be in with a chance,’ said Rodgers.